It looks like the gypsy barbel are getting close to their spawning time. 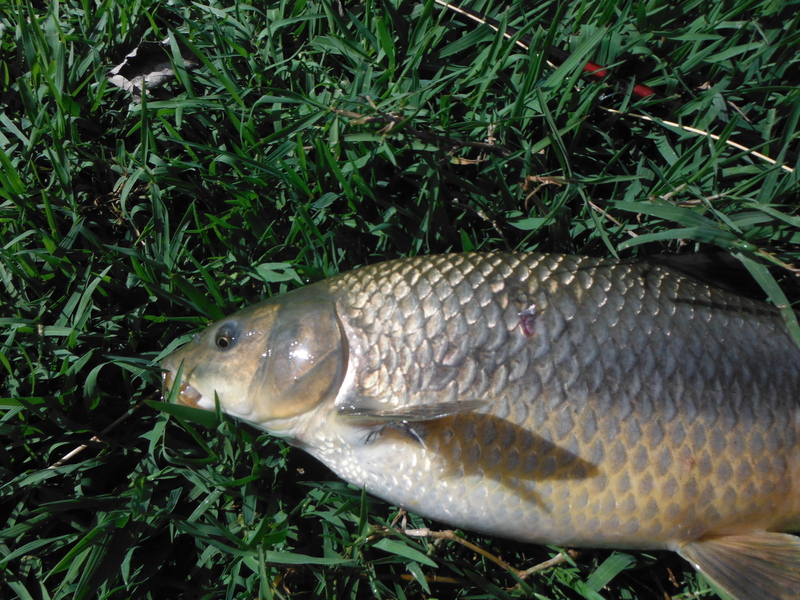 The males have prominent tubercles on their snouts, rather like carp develop, and so can be easily told apart from the females. Two of the three fish I took yesterday afternoon were males. 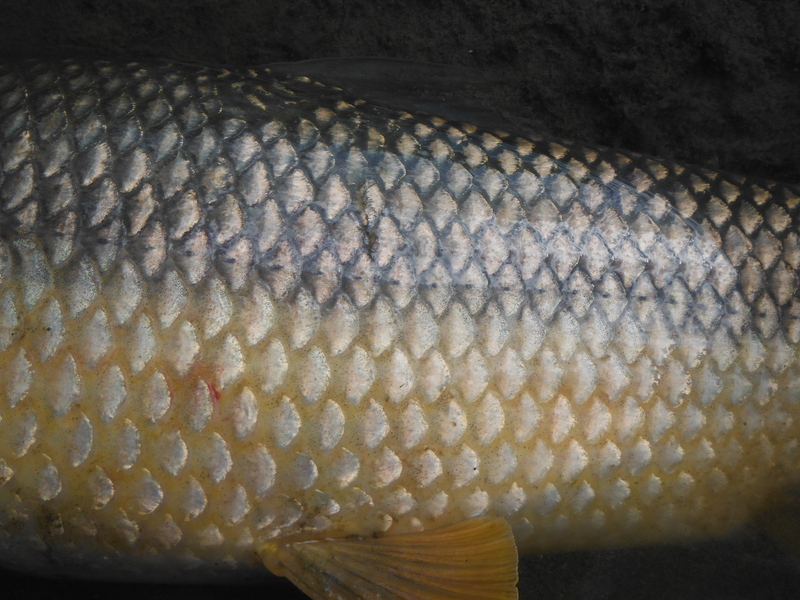 Like last week the fish seem to have vacated longish stretches of river and they were a little more difficult to spot due to the slight discolouration of the water following the rains that fell during the week. It was really lovely out on the river. I fished at Estación de Cártama and parked among hundreds of picnickers and dozens of cars but I needed to walk only a few hundred metres upstream to have the river to myself. There were a few carp about but they didn´t show any interest in the nymph I offered them. It pays to be philosophical when casting to carp on this river. They can ignore you completely. It´s just the way they are sometimes. I have learned not to take it personally! One interesting thing was that a number of bats were busy feeding in full sunlight at about 5.00 pm. Unfortunately I don´t know enough about bats to be able to identify them. 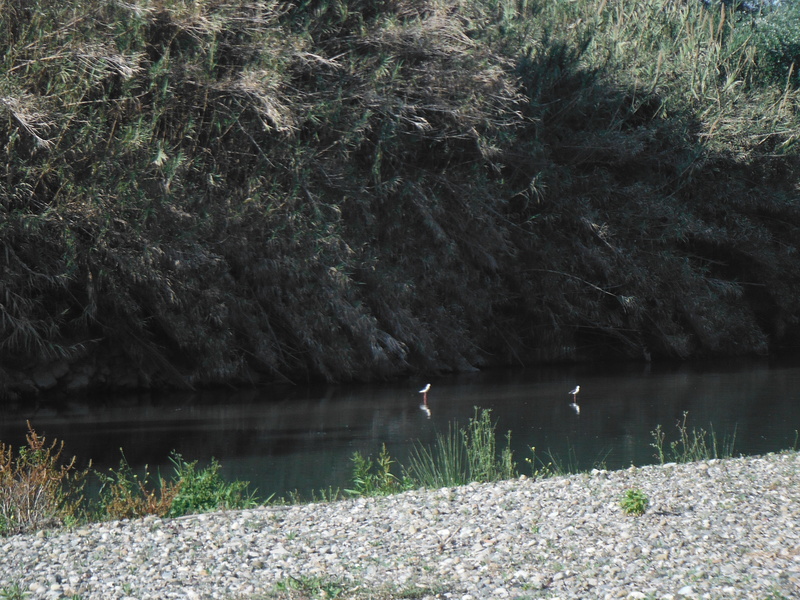 The rest of the cast performing in our little drama were familiar; cormorants, herons, egrets, black winged stilts, turtles, martins and a solitary booted eagle. Today is Sunday. I was happy to see that the bee eaters have arrived. 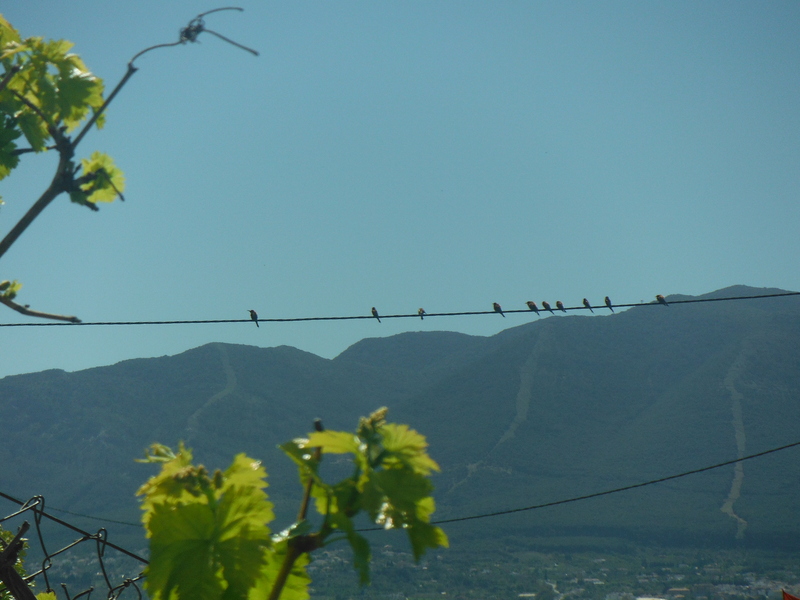 They were lined up on the telegraph wires outside earlier in the afternoon and have been wheeling around in the sky for much of the day. It is great to see them again. This one is a girl. She seems to be quite deep-bodied and looks like she might be carrying eggs. 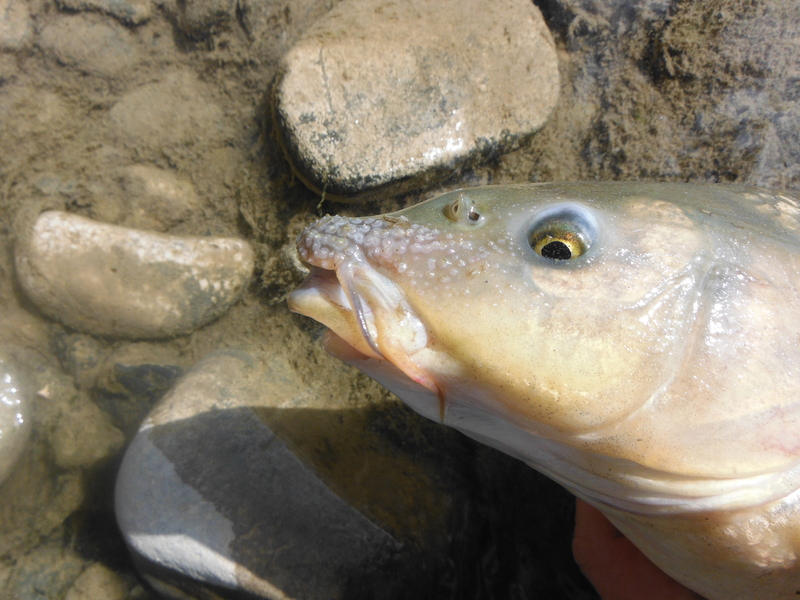 This is a male with the characteristic tubercles which appear in the run up to spawning time. Black winged stilts wade in the shallows. Bee eaters are wonderfully acrobatic flyers and take insects on the wing. These ones are just chilling. Nice pics and informative stuff …enjoyed the article.